Since its inception in 2010, Es'hailSat, the Qatar Satellite Company, has grown into a major satellite operator in Qatar in the Middle East. 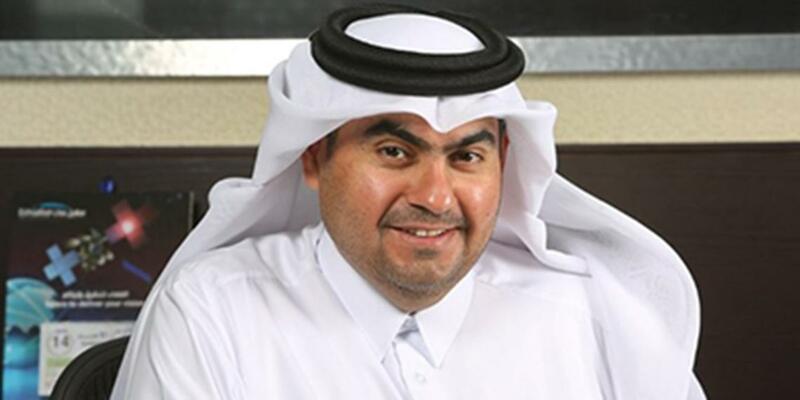 Based in Doha, with the aim to be a truly global satellite operator and services provider, Es'hailSat started the operation of its first satellite Es'hail-1 at 25.5Â° East in 2013 supporting key broadcasters in the region, beIN SPORTS and Al Jazeera Media Network.Es'hailSat President & CEO, Mr. Ali Ahmed Al Kuwari, spoke to Telecom Review about Es'hailSat's strong presence in the region, essential business partnerships, and plans to expand its worldwide satellite footprint. What has Es'hailSat's success in Qatar meant for other satellite operators who used to dominate the Qatari market? Qatar has an open sky policy where international and regional satellite operators compete with Es'hailSat for business. In some verticals we have established ourselves over the last few years and have been very successful, whereas in other verticals we have had our challenges. We are working in a challenging environment, in Qatar and the region, with multiple satellite operators vying for a piece of the pie. However, we believe we are ideally positioned to support our customers demand for satellite capacity, as their business grows. What can you tell us about your satellite fleet? Es'hail-1, the company's first satellite, was launched in August 2013 and entered commercial service on Qatar's National Day, December 18, 2013. A high-powered Space Systems/Loral (SSL) satellite with both Ku- and Ka-band resources, Es'hail-1 is positioned at the key 25Â°E orbital location. Es'hail-1 will soon be followed in Q1 2017 by Es'hail-2, a Mitsubishi Electric satellite, to be positioned at 26Â°E orbital position. This will add much needed capacity at the 25.5Â°E/26Â°E broadcast hotspot in the Middle East and Africa. Having both Ku-band and Ka-band capacity, Es'hailSat can provide the region with the most advanced and sophisticated services including broadcast, telecommunications and broadband services. In terms of geographic markets, Es'haiSat's satellites cover the entire Middle East and North Africa regions. And whilst our core focus continues to be the MENA region, our intention has always been to be a global player in the satellite arena. We plan to expand our fleet with new satellites in prime locations and we are also adopting the concept of ""world-wide footprints"" through partnerships with leading regional and international satellite operators around the globe. How is Es'hailSat contributing to the diversity of Qatar's economy and the success of the country's 2030 Vision? As a key contributor to Qatar's 2030 Vision, Es'hailSat aims to bring a new dimension to Qatar's diversifying economy by becoming a world-class satellite operator and a center of excellence in the region. As well as launching Qatar's first satellite and developing a second satellite, we are investing in local infrastructure and talent, key to providing a secure, independent satellite system to meet the needs of our stakeholders and customers now and in the future. We are currently building our own dedicated teleport from which we will provide play-out, up-link and other teleport services, and customer management. Es'hail-2 and future satellites will be flown from there by our own Qatari staff. We want to nurture and grow the satellite industry within Qatar itself so that we have a solid and sustainable foundation in satellite technology for the next generation. In parallel to building the ""hardware"", Es'hailSat is also keen to develop the space industry for Qatar. We are investing in local talent and providing training for Qatar's first generation of satellite engineers, and in our future generation of engineers by way of investment in their education. What is Es'hailSat's relationship with the major television conglomerates in the country such as Al Jazeera and beIN? Did these companies contribute to the growth of Es'hailSat? Al Jazeera Media Networks and beIN Media Group have been key customers of Es'hailSat since the inception of Qatar's satellite program to provide a secure, independent communications network. Al Jazeera was the first channel to transmit its programming on Es'hail-1 when the satellite entered commercial service in December 2013, and since then we have gone from strength to strength with both companies. Having our satellites at a key TV broadcast hotspot with a large audience in the MENA region has played an important role in the success of Es'hailSat. 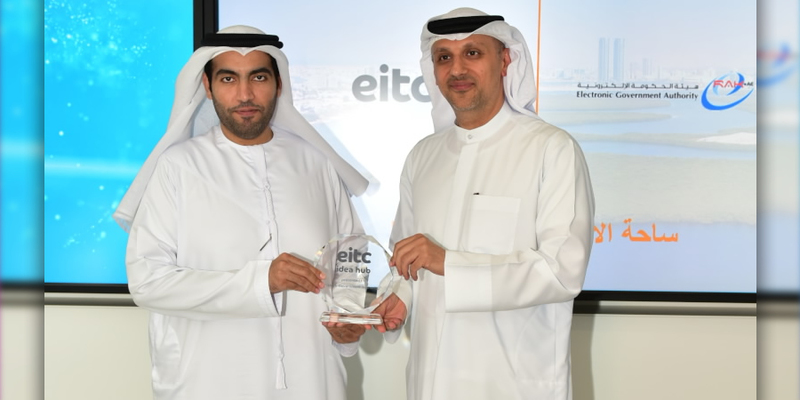 And being chosen by beIN Media Group to transmit the coverage of the 2014 FIFA World Cup in the MENA region and for the launch of their 12 new HD entertainment and lifestyle channels has undoubtedly contributed to the continued growth and success of Es'hailSat. Tell us about Es'hailSat's teleport in northern Doha: What phase of construction are you currently at, and how will the teleport improve broadcast services? The new Es'hailSat Teleport will be a state-of-the-art facility providing satellite Telemetry, Tracking and Commanding (TT&C) facilities and capacity management, together with a wide range of teleport services such as uplink, downlink, contribution, multiplexing, encoding, play-out and broadcasting, tailored for our customers and business partners. The high-tech teleport will also provide back-up studios for TV channels and serve as a disaster recovery facility for broadcasters. The site will be connected to the key media broadcasters in Qatar and to the international fibre gateway by means of a redundant, dedicated and diverse fibre optic link. Construction of the teleport at a 50,000m2 site north of Doha started in 2015 and the first phase will be completed by Q3 2016 and we will be ready to support services for customers.The teleport is a custom built facility for the Es'hailSat fleet of satellites and will be fully owned, operated and controlled by Es'hailSat. What educational programs is Es'hailSat involved with? Education and training have been a key focus for Es'hailSat since its inception. We have placed a strong emphasis on capacity building and the development of a sustainable space industry for Qatar with a number of educational programs. We began with training Qatar's first generation of satellite operator engineers. Four engineers from Es'hailSat completed a 26-month intensive satellite training program with Space Systems/Loral (SSL) the company that manufactured Es'hail-1. The training program was set up to develop knowledgeable and sophisticated engineering staff to specify, oversee the manufacture of, launch and operate commercial communication satellites. We are continuing our knowledge-building and skills development with a similar training program with MELCO, the company manufacturing Es'hail-2 in Japan. We want to ensure that we nurture and grow the satellite industry within Qatar itself so that we have a solid foundation in satellite technology for the future. Additionally, we have sponsored a number of Qatari school-leavers to enroll in engineering degrees specializing in satellite communications at Surrey University in the UK. These steps are part of our program to develop core expertise in satellite technology and develop our future leaders. Having satellite knowledge and operational experience plays a vital role in greater self-reliance and therefore sustainability. As a socially responsible organization with a focus on educational projects that contribute to the development of a knowledge-based economy and a communications-based society, we have undertaken education outreach programs by taking Es'hailSat Ambassadors out to a series of Doha schools to tell the story of the Es'hailSat Satellite Program. Students can hear about what it takes to design, build and put a satellite into space and learn how important satellite networks are for everyday life. Our aim is to raise general awareness in the field of space and satellites communications and also to promote and foster space technology development in Qatar. What operators and other partners do you work with in the region? Es'hail-1 was a joint program with Eutelsat and we share the orbital slot and frequencies with Arabsat. These partnerships have been highly successful and mutually beneficial. And we are also in discussions with a number of other satellite operators and partners to develop new satellite programs in key markets that we have identified around the globe. We announced some time back a major development and collaboration agreement with Ooredoo that allows both companies to work together on a range of new satellite and world-class communications services for Qatar. Demand for VSAT services has risen sharply in recent years, particularly in remote locations such as deserts and coastal areas. Our partnership with Ooredoo helps drive home grown innovation and stimulate the development of a full portfolio of solutions to support VSAT business. 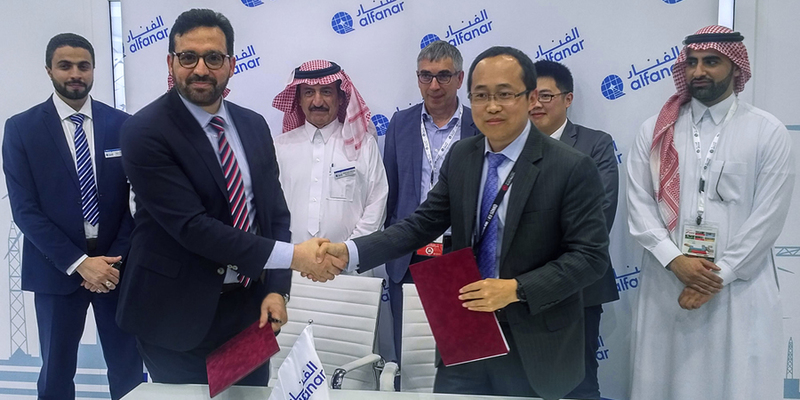 We recently signed a memorandum of understanding with Qatar Civil Aviation Authority (QCAA) for joint development of satellite services, which sees Es'hailSat providing satellite services to the Meteorological Department under QCAA. Es'hailSat and QCAA agreed to cooperate in joint investments in earth observation satellites and the dissemination of vital data and information to stakeholders and other relevant local and international organizations. The agreement enables both parties to provide satellite communications in disaster warning and disaster management during emergencies. How does Es'hailSat stay relevant in a growing market? Our aim is to enable customers to substantially increase their broadcasting and communications capabilities and we will continue to work with our customers and partners to support their business growth. Our capacity is unique both in technology and value proposition. 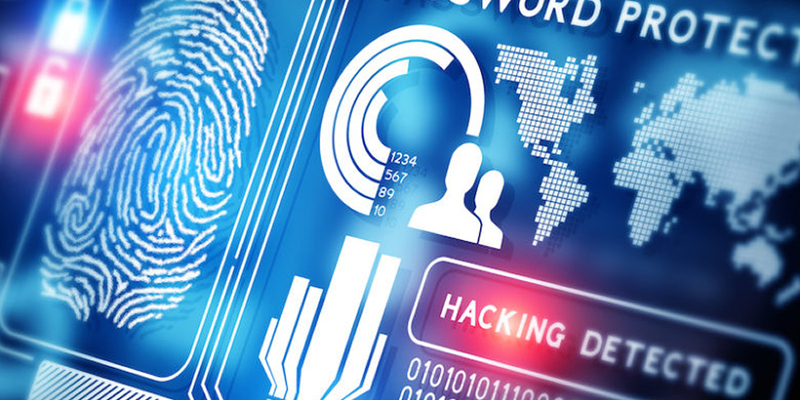 Both Es'hail-1 and Es'hail-2 have technology that mitigates against deliberate interference. This feature is considered attractive and essential in MENA. We are also continuing to develop the infrastructure needed to provide a secure and independent satellite system to meet the needs of stakeholders now and in the future. In addition, we are broadcasting unique content to the 25.5Â°E/26Â°E neighborhood, attracting new viewers and increasing the value of the neighborhood. So we can offer the best in class capacity at a premier hotspot with a growing audience. And our satellites and teleport services provide the optimum solution for the MENA region not only in terms of technical capabilities and performance, but also in terms of independence and security of content they broadcast. As the pace of growth continues, the requirements to be flexible increase.We believe Es'hailSat has the technology and corporate agility to stay relevant and to best serve our customers. Are you seeing an increase in Ka-band services in the region? We are seeing a growing demand for Ka-band services across the MENA region, especially in hub based solutions and mobility services, so we have developed a Ka-band hub located in Doha, which provides flexibility to service providers, allowing them to choose a style of engagement and commitment to suit their business needs. Through the hub's high-tech infrastructure, Managed Service Providers (MSPs) can provide telecom solutions that support a range of satellite-based data communications applications, ensuring their customers benefit from flexible and efficient technologies providing higher compression with lower latency, encryption, WAN optimization and bandwidth optimization for OPEX savings. The main services provided by the new Es'hailSat hub are Internet Services, VoIP Services and Corporate Network Connectivity. Looking ahead, where do you see Es'hailSat in the coming years? Our outlook for the years ahead is very positive. The dynamic and digital media sector in the MENA is still growing annually by 7%.This growth is in part fuelled by premium local Arabic content. With Es'hail-1 in operation and our second satellite on schedule for Q1 2017, we are ideally placed to support the continued growth and expansion of satellite communications by providing premium satellite capacity and teleport services, communications independence, quality of service and market penetration. We will also be active in other regions in the coming years, either by way of joint ventures or M&A. Do you foresee any challenges ahead? The satellite industry in general has not seen a lot of innovation when it comes to technology. Hence to be relevant in the ever evolving world of consumer technology, we have to be innovative to be part of the new ecosystem of media consumption and telecommunications. Traditional broadcasting will continue for the foreseeable future, however disruptive technologies will take away part of the traditional satellite broadcasting. High Throughput Satellite is one way that we as satellite operators can address this evolution. In addition, electric propulsion for orbit raising and station keeping of satellites; reusable launchers; refueling modules to extend the life of satellites, etc. will help reduce the overall cost of ownership of satellites, which in turn will help reduce the transponder cost which eventually benefits the end customer. Satellites are the most reliable way to connect remote parts of the world, and we believe it will remain that way in the future, however we need to evolve to adapt to the changing environment.